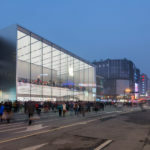 Yesterday it was reported Bell had turned to the Federal Court of Appeal to challenge the CRTC’s decision regarding its mobile TV app, which was alleged to not play fair with net neutrality rules. Now, the University of Manitoba grad student who initially took on Bell, Benjamin Klass, fears he could be financially “ruined” if forced to pay for Bell’s legal costs should the latter win their appeal. 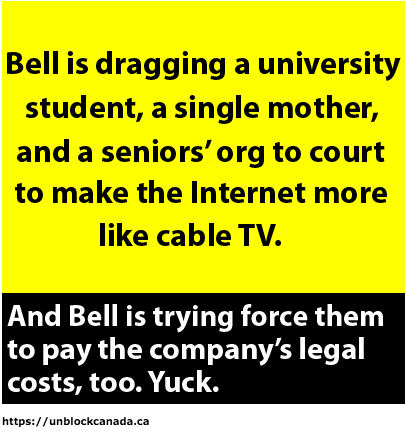 According to the The Star, Klass said “This is quite intimidating to a private citizen,” noting how “it might make someone think twice” about fighting for something in the public interest against the large corporate legal coffers of a company like Bell Canada. The unit of Montreal’s BCE Inc. said if it is able to win on appeal, legal costs should be applied against Klass and other interveners in the case, which include consumers’ groups and a council of seniors’ organizations. The CRTC’s ruling said Bell’s Mobile TV app “cannot provide undue preferences or advantages” compared to other apps that use the same data, but were charged higher rates, up to to 800% more. Rogers similarly had a mobile TV model like Bell, but ended their Anyplace TV subscription during the CRTC’s inquiry. What do you think about Bell’s request to have legal costs paid for by the individuals and organizations that made the mobile TV challenge to the CRTC?